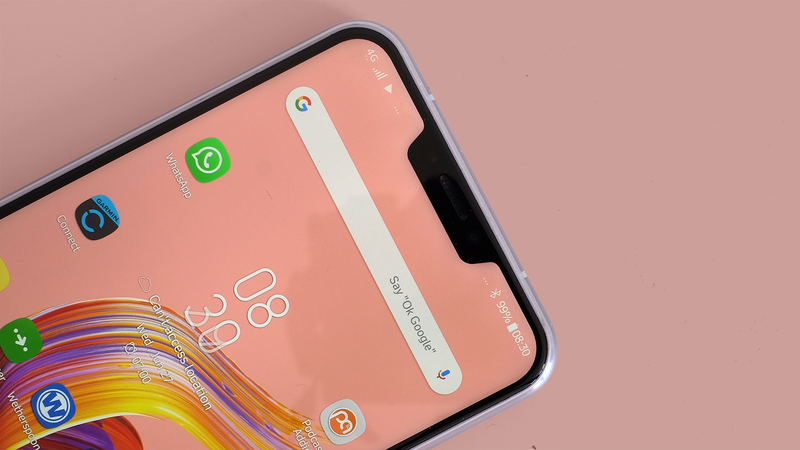 We think this is probably the most attractive phone in Asus’s new line-up, but there’s also a more powerful version, the Zenfone 5Z. It&apos;s set to cost £500 (around $700, AU$885), but swaps the Snapdragon 636 chipset for a high-end Snapdragon 845. Elsewhere, you get a mid-range Snapdragon 636 chipset, 4GB of RAM and 64GB of storage. There&apos;s also a 3,300mAh battery that lasts a solid day, or a day and a half if you go easy on the Zenfone 5. 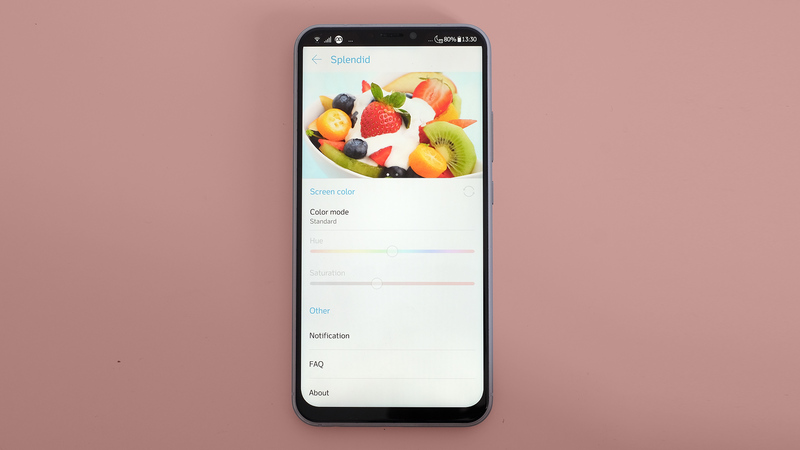 The Asus Zenfone 5’s default color mode is very well-saturated, but this is because it aims for the deep DCI-P3 color standard, used by video color graders. We find it just slightly too punchy, but switch to the &apos;Standard&apos; color mode and the overexcited look is gone completely. Some of you may find these two modes a bit too rich and undersaturated respectively. Standard is an sRGB mode, the screen equivalent of &apos;no added sugar&apos; chocolate. We like it, but many of you will want some more energy. Part of this is just a thin visual issue. However, it also means fewer notification icons fit in the notch alcoves. You end up with a &apos;…&apos; icon, meaning you really have no idea of what your notifications are. You just know they are there. The Asus Zenfone 5 has a 3,300mAh battery. It’ll last a solid day off a charge. On days when we don’t punish the phone too much, it ends up with around 30% charge left by bed time. That includes a few hours of podcast streaming, some photo-taking, a couple of streamed YouTube videos and regular checks of WhatsApp. 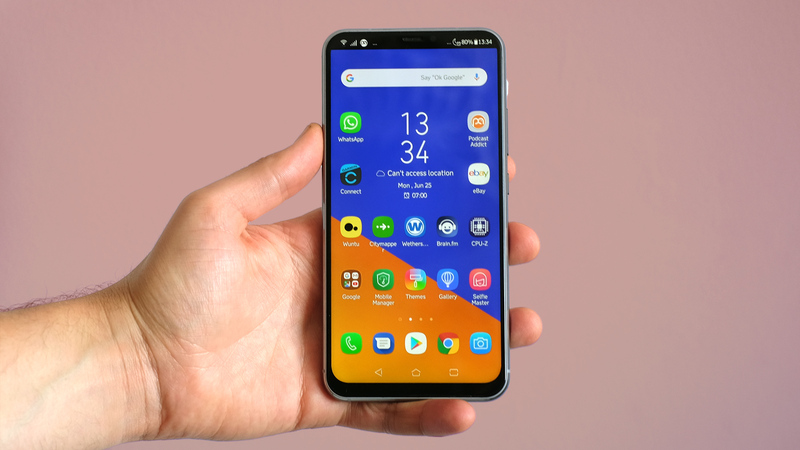 It won’t challenge the Huawei P20 Pro, but the Zenfone 5’s stamina is respectable. Left to play a 90-minute video at maximum brightness, the battery level drops by 16%. The OnePlus 6 loses 15% in the same test. As in general use, the Asus and its OnePlus rival are similar battery performers. The Asus Zenfone 5 also supports fast charging, using the Asus BoostMaster standard (which is based on Qualcomm Quick Charge tech). It uses &apos;AI&apos; charging too. This prevents overcharging, which can reduce your battery’s lifespan. There’s no wireless charging, though. Asus says the camera is the Zenfone 5’s focus. It is home to some of the phone’s best and most disappointing parts. 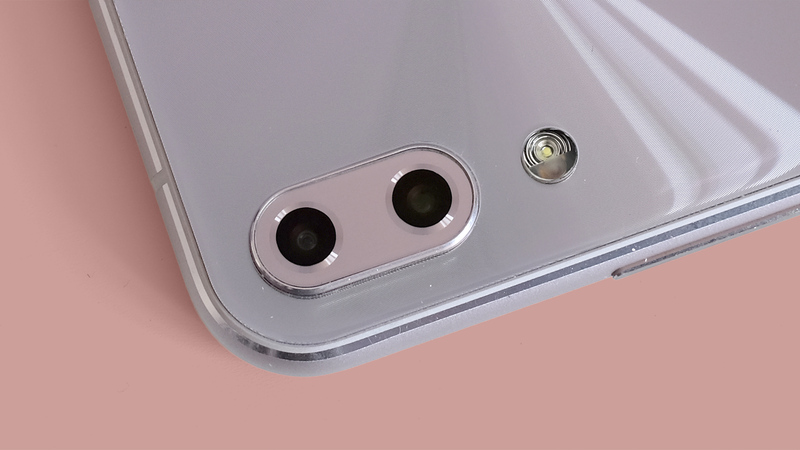 The hardware, for the rear cameras at least, is excellent. Its main sensor is a Sony IMX363, a great 12MP f/1.8 sensor with large 1.4-micron sensor pixels and 1/2.55-inch size. It has 4-axis stabilization, for better low light results. You can see this in action even when you simply hold the Asus Zenfone 5 with the camera app running. Movement appears smoothed-out. The second rear camera has a 120-degree wide-angle lens. 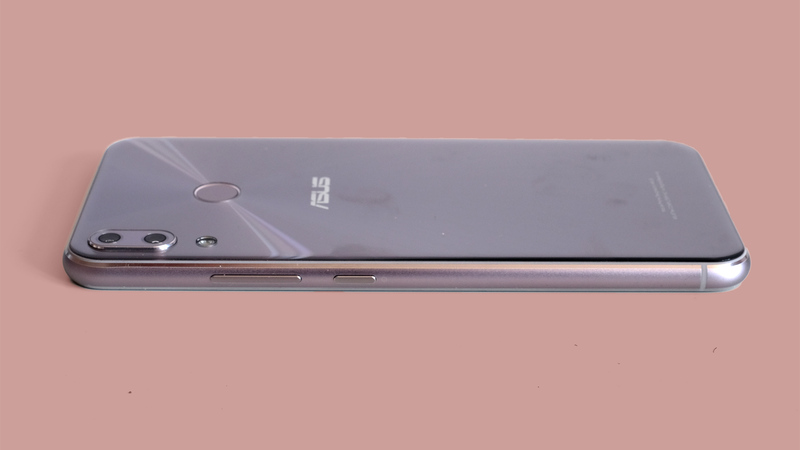 It’s most similar to the LG G7 ThinQ in this respect. 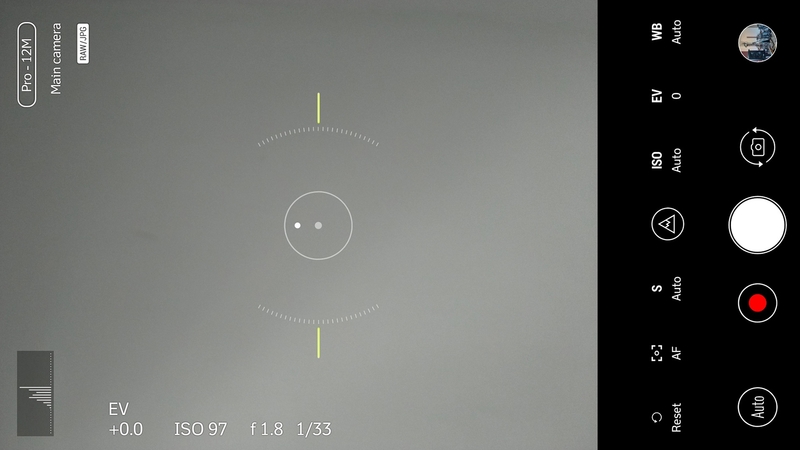 This second sensor is 8MP f/2.0 and lets you shoot a wide view of a large object, even if it is close up. The geometric distortion the lens causes can be used to dramatic effect too. Straight lines in the architecture of buildings become curved, particularly near the edge of the frame. The best part of the Zenfone 5 aside from the flexibility of dual-view shooting is its HDR optimization. This phone has very effective high dynamic range processing. It’s far better in this respect than the more expensive LG G7 ThinQ, which frequently blows out the brightest parts of an image. The Zenfone 5 does not, usually. At times it can seem a little unrealistic, bordering on fantastical, as if bright cloudy skies have been rendered by a computer game. But photos are often striking. There are two problems with the HDR. At times it can cause ghosting, where you can see movement in the scene overlaid on top of the original exposure. This is usually an issue when there’s too much of a time gap between the shots. And at times the HDR just doesn’t kick in. On several occasions we shot multiple images of the same scene. Some ended up as nicely exposed HDR photos, others were labeled HDR but had dramatically overexposed areas. The Asus Zenfone 5 camera is a little flaky. You see this throughout. Sometimes the shutter button refuses to respond when you press it. Switching between the standard and wide cameras takes too long. Asus improved the camera performance a little with a mid-test update, but there’s clearly more work to do here. We have hope, though, because when the Asus Zenfone 5 behaves there’s minimal shutter lag. Right now, it misbehaves too often, though. Other aspects of image quality are slightly disappointing given the great tech inside too. Despite OIS and the high-quality sensor, night photo quality is not that great. Low light shots are noisy, much more so than the OnePlus 6, it’s still quite easy to blur night photos and they are just not that detailed. The Asus Zenfone 5 also routinely over-saturates color. Using Photoshop to tweak the resulting files, reducing saturation by as much as 30% often results in more natural-looking images. There’s also a tendency to increase exposure too much for dark scenes with moderate levels of light contrast, making them look washed out. This camera is inconsistent. Asus says the Zenfone 5 uses AI to aid its camera, although unlike the Honor 10 it doesn’t advertise its presence as you shoot. It may be to blame for our oversaturated shots. The phone does use its smarts pretty well for very low light shooting, though. It can make photos of very dim rooms seem brighter and clearer. The resulting detail isn’t too impressive, but there’s stuff going on behind the scenes we weren’t able to replicate with the Pro mode. Pro mode lets you take control of parameters like shutter speed and focus, and can also capture RAW+JPEG images. The auto mode just shoots JPEGs. The Asus Zenfone 5 offers some of the best camera hardware you can get for the price. However, thanks to less-than-stellar processing and flaky software the results are variable. Sometimes it takes excellent photos. Sometimes it looks as though something has gone a bit wrong in the process, or the app just gets on your nerves with its inconsistent performance. As long as Asus continues to update the Zenfone 5, this will improve. But it won’t challenge the Samsung Galaxy S9 or OnePlus 6. The front camera has a very good 8MP sensor capable of rendering plenty of fine detail, and once again the HDR mode works wonders on balancing the exposure of foreground and background. There are two separate selfie apps too. Selfie Master has a beauty slider that smooths your skin, although doesn’t make the same HDR tweaks as the main camera app. 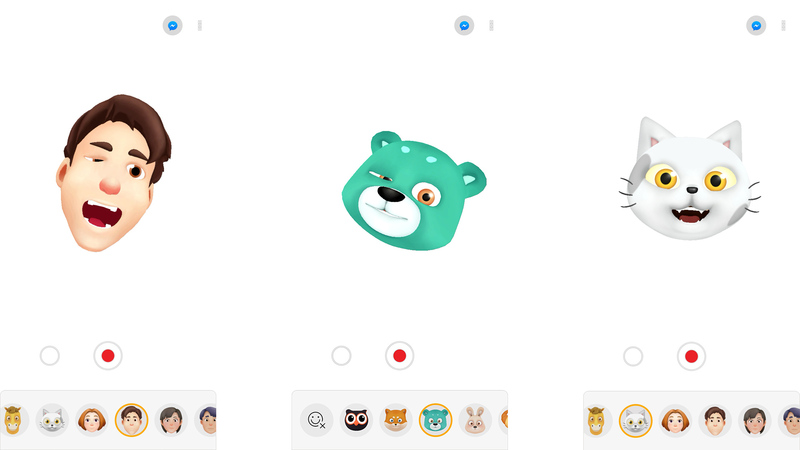 And ZeniMoji is a take on the Animoji feature of the iPhone X. This replaces your face with that of a 3D cartoon character that mimics the movement of your eyes, mouth and so on. However, unlike the iPhone X there’s significant delay, and the effect isn’t anywhere near good as Apple’s when you play back the recorded clip either. But, hey, this stuff is for fun. It should please the kids, if not 30-year-olds begging for some tech infantilization. For video you can shoot at up to 4K 30fps, or Full HD at up to 120fps, for slo-mo shooting. The Asus Zenfone 5 stabilizes footage even at 4K, but you’ll get the smoothest footage at 1080p. 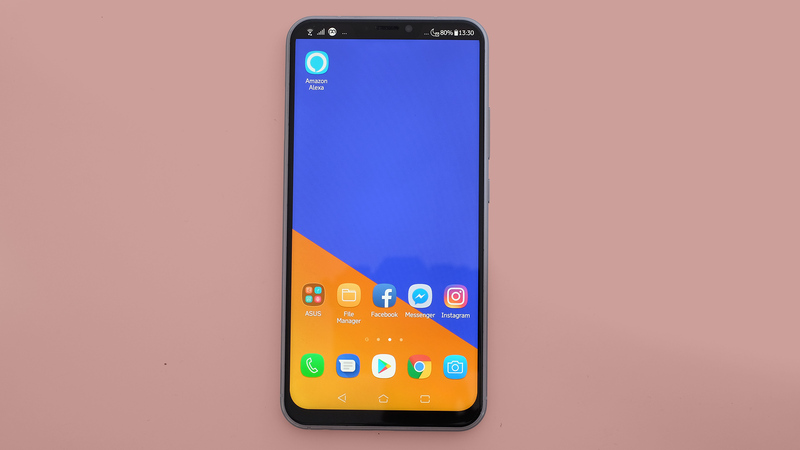 The Asus Zenfone 5 runs Android 8.0.0 and the ZenUI software. This is Asus’s Android skin, renowned for being jam-packed with extra fluff no one ordered. There’s still more than some manufacturer interfaces here, but we don’t get the sense of being immediately submerged in additional apps. The look of the software is clearly different from standard Android too, but after a couple of days we were used to it. ZenUI is fine. What changes does it make? 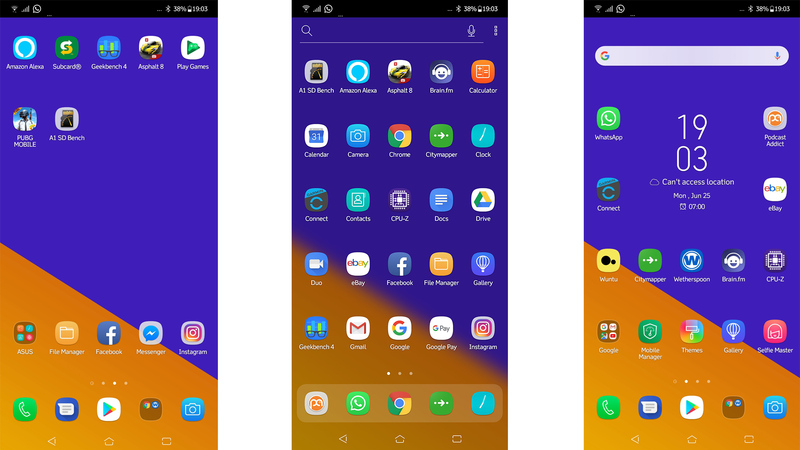 Unlike standard Android, the Asus Zenfone 5 has horizontal pages of icons in its app drawer rather than a vertical scroll. There’s also a dock of frequently used apps that sits at the bottom of the apps screen. As usual ZenUI also offers loads of customizations. Dig deep enough and you can change fonts, use (slightly questionable) animated Asus wallpapers, alter the scale of the UI, turn off the apps menu completely and change the transition animations. ZenUI is not an immediately impressive interface. However, its wide-ranging tweaks are well-suited to the slightly geeky audience likely to pick up an Asus phone. And it has shrugged off most of the stiffness of earlier versions of ZenUI. The Asus Zenfone 5 is also one of the best phones for movies and games at the price. Aside from a simple sound recorder app Asus has stayed out of these areas, but the hardware is perfect for the enthusiast on a sensible budget. Its screen is fairly large, plenty colorful, and games automatically scale to fit the Zenfone 5’s screen. You won’t suddenly see games flood the notch area, blocking off vital bits of game interface. The phone’s speaker is remarkably good too. Most of the sound comes from the driver on the bottom, but the earpiece on the front plays additional higher-frequency audio. This makes the Zenfone 5 sound &apos;stereo&apos;, rather than just leaving all sound coming from one end, pointing away from your ears. These speakers are louder than average, and they have a solid amount of mid and upper bass &apos;body&apos;. We tend to use the Zenfone 5 at about 70-80% volume when listening to a podcast. It’s usually 100% all the way with other phones. This is in part because it sounds just a little brash maxed-out at close quarters, but the extra volume is welcome when, for example, you’re cooking or listening to something while in the shower. This phone is louder and fuller-sounding than the OnePlus 6. There’s also an &apos;outdoor&apos; mode. This makes the Asus Zenfone 5’s speakers thinner and harder sounding, but the audio travels better. The Zenfone 5’s headphone jack is perhaps the biggest win for the way we play games, though. You don’t have to own a pair of Bluetooth headphones, or use an annoying adaptor. If you like you can use Asus’s Game Genie feature too. This is part of ZenUI, accessed through the soft key bar when running a game. You can record footage, take screenshots, block notifications and &apos;speed up&apos; gameplay. However, this seems to amount to purging RAM memory, so don’t expect dramatic results. You can also force apps to fill out the whole screen, meaning the notch may block some interface elements. There’s not much reason to do this. We noticed a few fractional moments of slow-down in Asphalt 8 (High graphics), but nothing that remotely spoils the fun. PUBG runs at Medium graphics rather than the High graphics setting the OnePlus 6 defaults to, though. This is because the Asus Zenfone 5 has a mid-range CPU, not a top-end one. However, you can switch to High and the frame rate is perfectly sound. The Asus Zenfone 5 has the Snapdragon 636, the latest mid-range Qualcomm chipset at the time of the phone’s launch. It has eight Kryo 260 cores clocked at 1.8GHz and the Adreno 509 GPU. This is much less powerful than the OnePlus 6’s Snapdragon 845: it has only around 50% as much graphics power. The difference between the Snapdragon 636 and last year’s flagship the Snapdragon 835 is less substantial, on the GPU side at least. It scores 4,854 points in Geekbench 4. 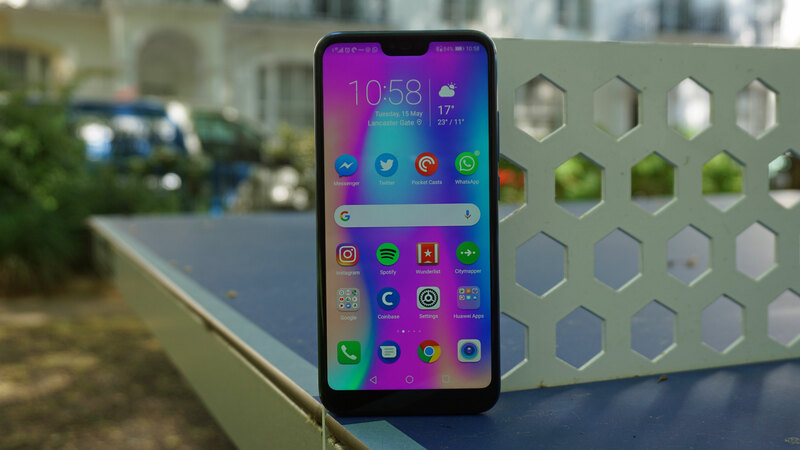 This places it below the Honor 10 and, of course, the OnePlus 6, but the score is solid. You can also use the &apos;AI Boost&apos; mode to increase benchmark scores to 5,434 points, but this is the equivalent of &apos;cheating&apos; manufacturers used to do on the sly. The Asus Zenfone 5 has 4GB of LPDDR4X RAM that, according to our tests, is only around a third the speed of the OnePlus 6’s RAM. This is likely because the OnePlus uses not just faster RAM, but a dual-channel arrangement. Like the chipset, the RAM is &apos;fast enough&apos;, and doesn’t actually aim for top tier performance. Such fast RAM isn&apos;t supported by the Snapdragon 636 platform anyway. 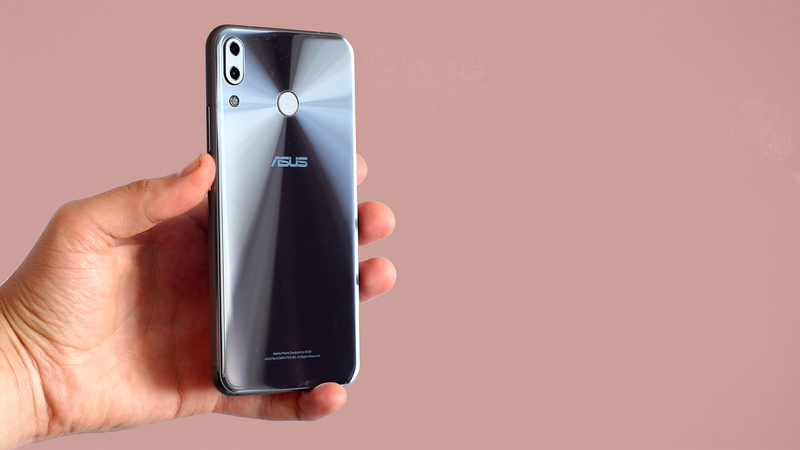 The Asus Zenfone 5 has great tech for the price, including a dual-lens rear camera, a solid chipset and a build that combines high-end materials with a classic Asus look. It’s a good phone. 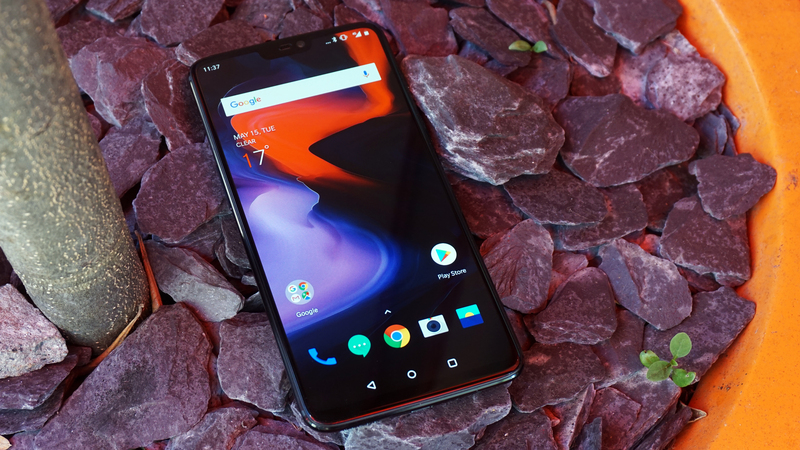 However, several parts aren’t as well implemented as slightly more expensive rivals like the OnePlus 6. Considering the hardware, low light shooting should be better, and Asus seems in the middle of getting the camera software and fingerprint scanner up to speed. Still, given the price this phone is highly competitive. 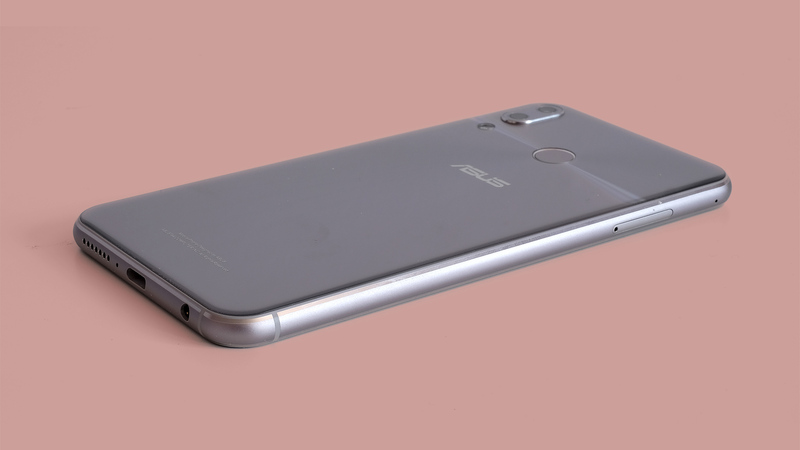 The Asus Zenfone 5 is for folk who want a phone that isn’t too expensive, but comes with some of the neat extras you get in phones up to twice the price. If you can afford the jump to a OnePlus 6, we think you may well prefer that phone. Its performance is better and the camera is more consistent. However, if the price sits around your limit, this phone has more worthwhile extras than the Nokia 7 Plus, including a wide-angle camera and louder speakers. It may cost a little more but the OnePlus 6 nail parts that are problematic in the Asus. Low light photo quality is better, as is the fingerprint scanner. And the notch area is much more useful. The OnePlus 6 is also around twice as powerful thanks to a top-end CPU. Day-to-day, though, these phones feel fairly similar in use, particularly as their screens are of a similar size and shape. The Honor 10 is this year’s other top value smash. It has a smaller screen than the Asus. 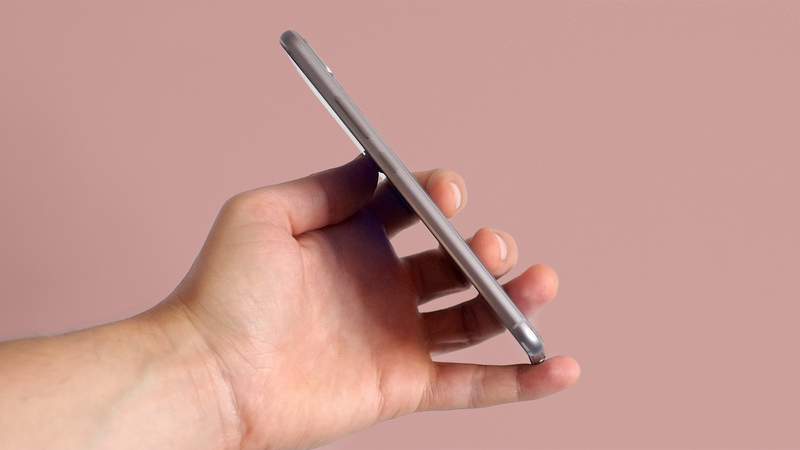 Consider it if you want a great-value phone, not necessarily a large one. The Honor is also more powerful than the Asus. Its Kirin 970 CPU is a top-end chipset (if not brand-new), the Asus Zenfone 5’s is not. As the Asus doesn’t have the great low light camera performance its OIS seems to promise, this comes down to screen size. Do you want a big display, or a mid-size one? 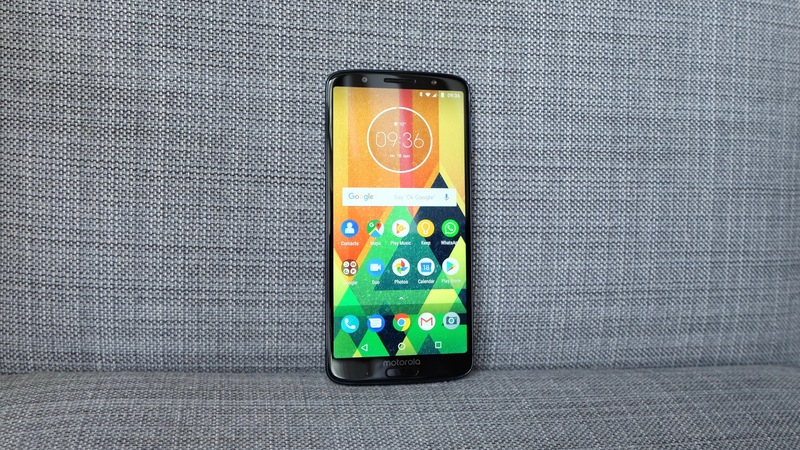 It’s always hard to beat Moto G phones for value. The Moto G6 Plus is just one step below the Asus Zenfone 5 in power terms, using a chipset of the same series. It has a glass and metal design too, although there’s no notch and the front fingerprint scanner leaves the phone a bit taller than the Asus. The Zenfone 5 also has a better speaker array, a punchier screen and a wide-angle rear camera. However, with the Moto G6 Plus you save a significant chunk of cash. Want more power? 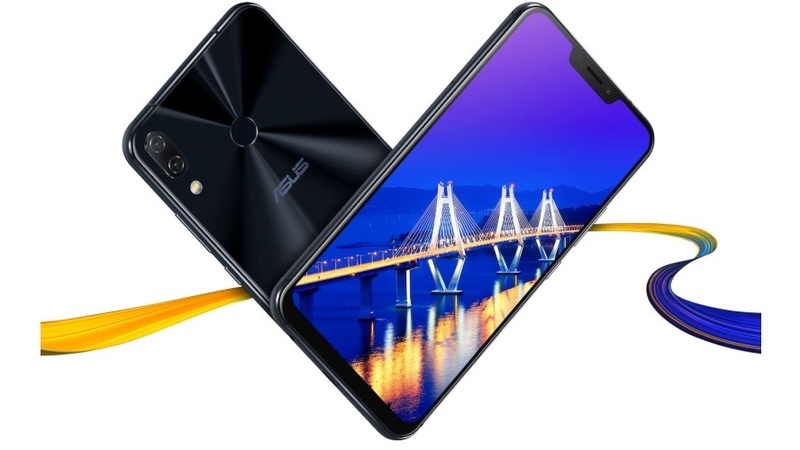 Asus makes a more expensive version of this phone with a Snapdragon 845 chipset, the Zenfone 5Z. Some versions have more RAM and storage too. However, the other specs are the same so unless you really want the extra power you’ll get a similar experience with this cheaper version.